There weren’t too many of us that were completely enamoured by The Caligula Effect when it released exclusively on PlayStation Vita last year. But there were some of us — enough that developer has seen fit to go back to the base game and completely rework it so it will be bigger, better, and more gorgeous when it launches on PlayStation 4 this year. 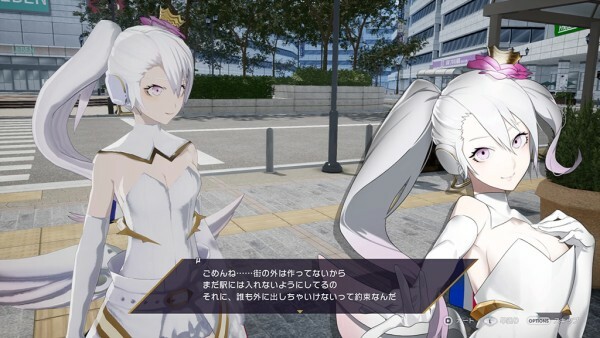 Related reading: Matt’s review of The Caligula Effect from earlier in 2017. Over the Christmas break the developer, Furyu, saw fit to drop a whole lot of information on us, and what we know about the game has us really excited; you can choose to have a female or male protagonist now, and there are more characters that will join your party, more bosses to fight, and the game has been completely reworked into the Unreal 4 engine, so that it looks better and has some of its gameplay quirks smoothed over. For those who don’t know anything about the game, here’s a summary that should get you excited: It tells a story where Hatsune Miku (she’s renamed to µ, but she is most certainly Hatsune Miku) has gained sentience, and created a world of music, fantasy and illusion in which she “traps” people for all eternity. For some reason you play as a group of people who want to escape the world, and to do so, you need to battle a series of enemies, each based after a musical theme, generally written by the best vocaloid artists out there in Japan. I don’t get that, to be honest. If Hatsune Miku gained sentience and put me in a world of her design I would absolutely be happy to remain there. Thankfully, it seems like this new game there is a branching that does allow you to fight to remain in Miku’s warm embrace. 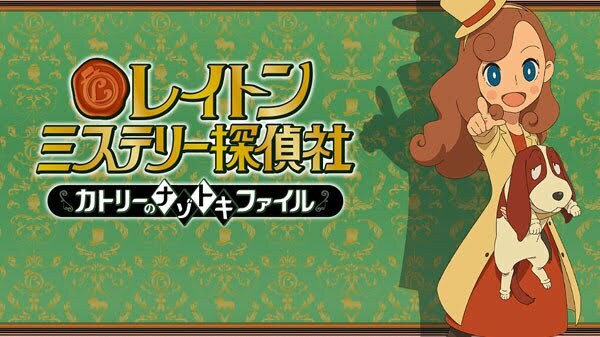 Coming to the small screen near you is Professor Layton’s darling daughter herself, Kat! Follow the new superstar detective, her assistant, and her talking dog as they solve crimes; Layton Mystery Detective Agency: Kat’s Mystery-Solving Files is an anime that will premiere this spring. Kat began the Layton Detective Agency in Katrielle and the Millionaires’ Conspiracy, which was released last year on iOS, Android, and 3DS. Her original intent was to find her missing father, but when her keen eye and sharp wit lead to more and more crimes being solved the goal seems to be pushed to the back burner. “Any mystery solved!” ... except that of Professor Layton, I suppose. The voice of Kat isn’t returning — Kana Hanazawa is replacing Kasumi Arimura as voice of the novice detective with skills to spare — but I doubt that will ruin the effect, as long as the character’s personality remains. I’m expecting a string of exceptional people seeking her help, and maybe even some guest spots from the Millionaires themselves! 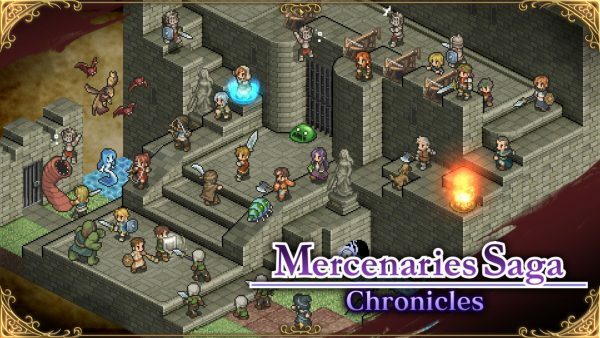 If you’re the kind of person that loves tactics JRPGs so much that generic B-tier examples of the genre get you excited, than get very excited for the Mercenaries Saga Chronicles, which will be hitting Nintendo Switch consoles soon enough. Circle Entertainment is going to publish all three games in that series into a single package, which will give you plenty of hours of play, that’s for sure. The original Mercenaries Saga was never actually localised into English, but the other two were, and were released both on mobile and Nintendo 3DS. As this is Circle we’re talking about, the localisation quality will be patchy to say the least, but it’ll be playable, and even though the games (or the later two, at least) suffer from weak storytelling and ridiculous difficulty spikes, they did get the fundamentals of the genre gameplay right, so there’s something there for people who got a kick out of Final Fantasy Tactics or Tactics Ogre. Of course, in the absence of other tactics RPGs on the Nintendo Switch (the delightful Disgaea 5 aside), Mercenaries Saga, as a trilogy, will certainly scratch an itch than a lot of Switch fans will have. We don’t have any more details about the game just yet, but generally when Circle announces something, it’s not long before we’re playing it. May is so far away, and that’s when we get to dance with Persona characters once again. May 24, to be exact. And I know that some of you are as anxious as we are and will be importing the titles as soon as possible! Persona 3: Dancing Moon Night and Persona 5: Dancing Star Night will launch for both PlayStation 4 and PS Vita on the same day. Of course, that means combo packs will be made available. There are two announced thus far, one for the PS4 and the other for the Vita. 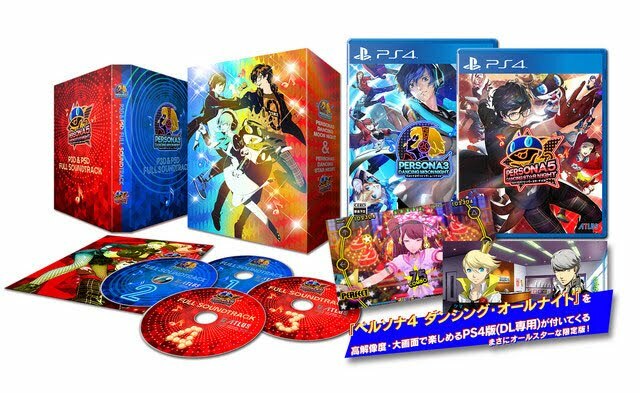 The All-Star Triple Pack is for the PS4, including a physical copy of each game as well as a digital copy of Persona 4: Dancing All Night with high-res graphics. It’s worth noting that at this time, this is the only way to get P4 Dancing on the console. The PS4 bundle also includes four discs containing over 60 tracks from the soundtrack. The PS Vita bundle, or Dancin’ Deluxe Twin Plus bundle, is a bit different. It includes a physical copy of both games for the PS Vita, but also a DLC costume set for both games. Of course, you’ll also get the soundtrack. The different bonus content will certainly appeal to players, but in the end I expect the console of choice is what will dictate which bundle is purchased!